I started my working life as salesman in my father’s watchmaker and jeweller supplies business, selling tools and watch parts to a highly technical industry. Early in my career, I developed a wide range of business and life skills, and trained as a teacher, professional musician, contracting painter, fishing trip & boat hire operator to name some of my various ventures. After a decidedly colourful and varied start to my working life, my career finally settled with a technical sales role, initially selling facsimiles for a New Zealand based office equipment supply company. After setting sales records within my division, and moving into a Sales Management role, I returned to self-employment – my natural calling. My first serious business sold and serviced 386 and 486 Computers and other office equipment, turning over an impressive $1.1m in its first full year of trading. Frustrated at not being able to find simple, single ledger, accounting software for my small business clients, I purchased a locally designed package, and redeveloped it into a full suite of accounting software – Kiwi Accounts. Still used by many loyal clients almost 20 years later, the program was eventually sold to over 500 businesses in New Zealand and Australia. 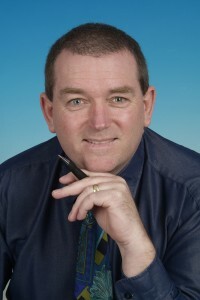 I began developing websites in the early days of the Internet, and in 1999 established Go Kiwi Internet – a commercial website development company. My vision, passion and love of the industry have seen me develop over 500 commercial and charity websites between 1997 and 2006. In my teenage years I spent time searching for truth, dabbling in Eastern religions along the way. At the age of 20, and newly married, my wife suggested we attend a “proper” church. I obliged and my conversion to Christianity was unexpected and sudden. Basically I actually didn’t DO anything to become a Christian. I didn’t plan it, it was more like I was “zapped” with a recognition that the bible was more than true, it was the truth. Despite early wanderings, I have allowed that seed of faith to grow over the 40 years since, working through many issues and challenges in the maturing process. I struggle with Religion, Churchianity and Political Correctness. I really “see red” with liars, cheats and dishonestly, especially the personal sort. Along with a relatively strong understanding of human nature, I have a sensitivity toward and general understanding of political and religious manipulation. I therefore have a deep mistrust of mainstream systems – be they political, financial or religious. As a result of my Christian faith, I established Red Cross Ministries in 2002, which formalised my commercial support of religious and community group websites. I helped establish Light Party (a Halloween Alternative) in 2003. In early 2006, I established the Web Developers Association of New Zealand (WDANZ) and have helped establish a range of Joint Ventures to train and support the web development industry. In 2007 I developed the blueprint for the Internet UNMASKED!! events and wrote the primary content for the Book published in 2008 of the same name. I was born in Auckland; lived the majority of my adult life in Milford on Auckland’s North Shore and emigrated to Samoa in February 2010. I am divorced with two children in their twenties and two grand-children. I was one of New Zealand’s first snowboarders and regularly traveled to Mt Ruapehu – a truly magic mountain, in the middle of an amazing country! In 2008 I wrote the blog VICTUS IN AMBITUS (Latin for “living on the edge“) a loose description of my attitude and approach to life. Living on the edge is an amazing way to live – full of fun, measured risk, and excitement. Sure, when you live on the edge you occasionally fall off, but it is a life that has no regrets, because opportunity is maximised moment by moment. There is no rest. Work is hard – but play is hard too. I love life and approach all things with passion, full-on, shooting straight, with faith but very real. That is the VICTUS IN AMBITUS way. 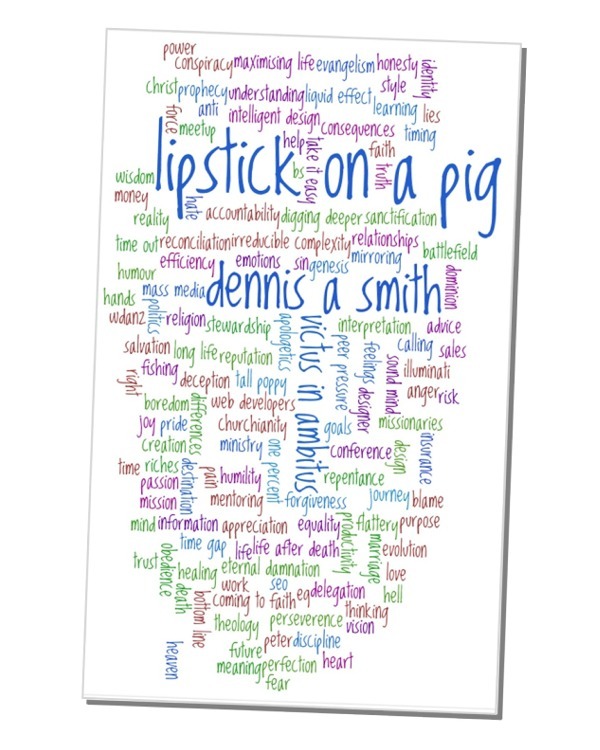 I converted this blog into my second book Lipstick On A Pig. In October of 2009 I took my daughter Rebecca to Samoa. A week before we we arrived the Tsunami struck and I found myself in a country in turmoil. Internet skills and expertise are low in Samoa and their web presence sux is less than ideal. I found myself compelled to return and help; sold the family home and immigrated in February 2010. I established the SWAP Foundation (Samoan Web Ambassadors Programme) which aims to teach and mentor and develop inbound tourism through improved marketing and a bunch of creative business ideas. In 2010 I established the Airport Lounge, an information centre, Internet Cafe and base for SWAP Foundation in the village of Satapuala that was opened by the Prime Minister Tuila’epa. Following difficulties with the landlord I moved our entire operations to 5 acres of land at Falelauniu, Aleisa East. 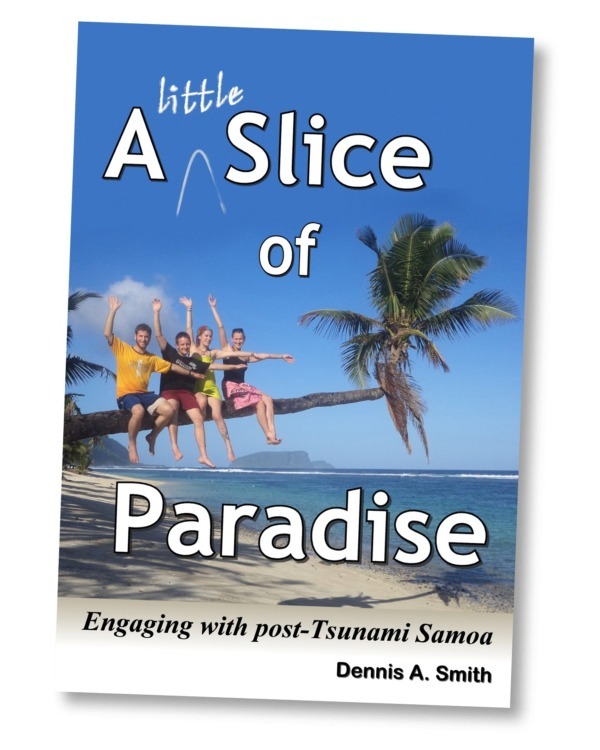 Over Christmas 2011/2012 I wrote my third book “A Little Slice of Paradise – Engaging with post-Tsunami Samoa” in which I detail my experiences coming to and living in Samoa, pending publication (2015) awaiting the outcome of an Ombudsman’s complaint. With the Ombudsman’s complaint ending up as yet another racist BS story, I still haven’t published it, but will eventually rewrite it a little and then get it out there! 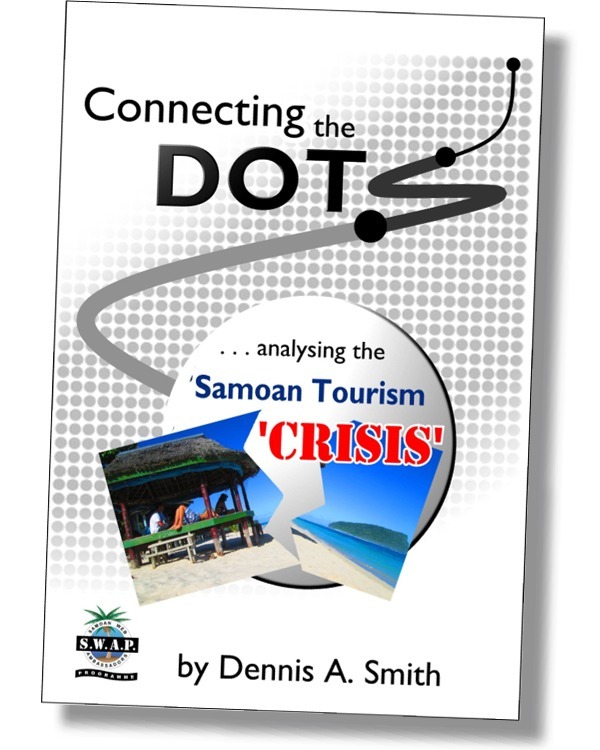 In 2013 I wrote the free eBook “Connecting the DOTS – Analysing the Samoan Tourism Crisis”. In it I explained how the Samoan Tourism people haven’t a clue; won’t seek help from outsiders and live in a political dreamworld. I explained that small tourism in Samoa is normal (not a crisis) and predicted no change with the current people in power. Prefectly predictable predictions all pertinent & proven, of course! 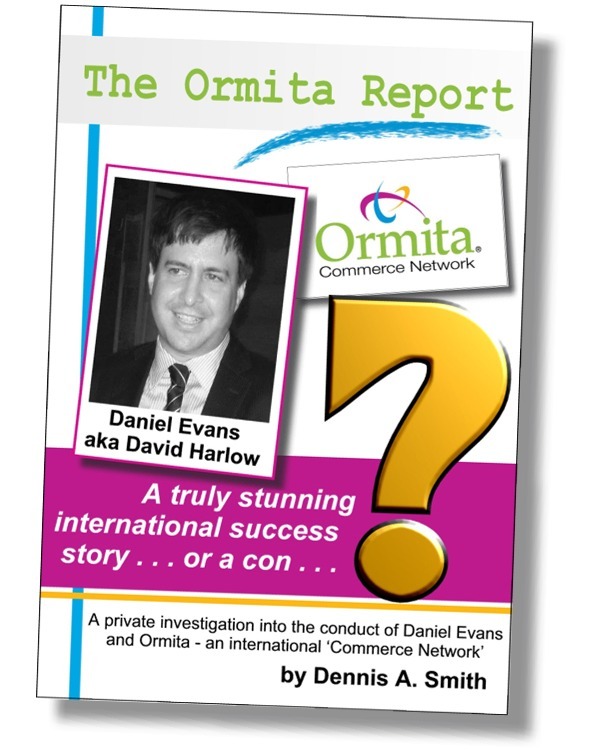 In Q4 2013 I commenced a major private investigation into Australian conman Daniel Mensi Evans and the international fraud he called Ormita, which culminated in publication of The Ormita Report and ended in the closure of the scam. This was a six-months full-time project and not only ceased the Ormita fraud, it did it in spectacular fashion, especially seeing as the entire industry and their lawyers couldn’t even find the conman to serve him papers! The secrets were that I knew and understood his psychiatric condition and that I never give up. In mid 2014, I exposed the various dubious operations and wild claims of several key players in the Barter industry: Bartercard, IRTA, Universal Currency, Qoin & Tradeqoin. 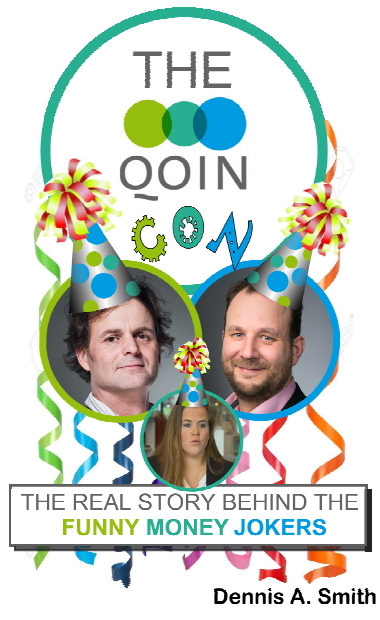 Two years later and as a direct result of my blogging and book, The Qoin Con, the crooks actively aided and abetted by the leadership of IRTA, went under – to the tune of half a million Euros with the authorities on their tail for a range of fraud. 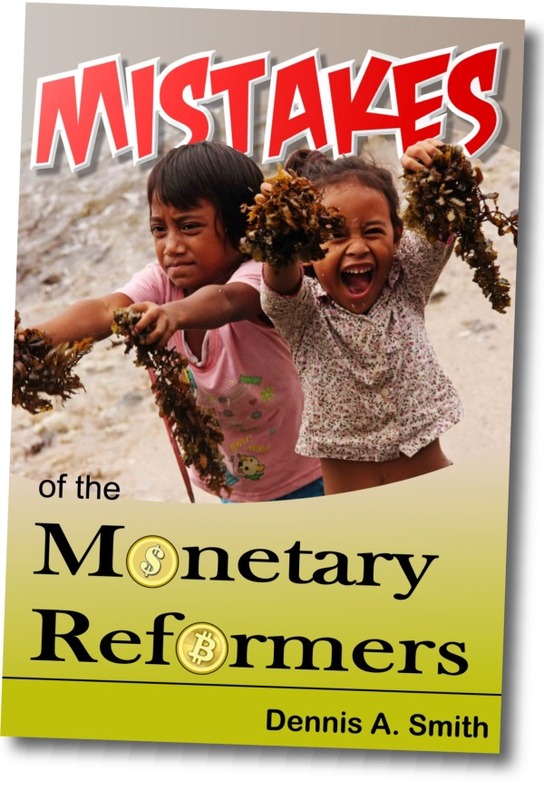 My writing in 2015 included the free eBook Mistakes of the Monetary Reformers; the book Corruption in Samoa, and the publication of a Christian Allegory that I wrote in 1999 called “The Prince and the Pauper”. I lived in Samoa until September 2016, establishing Camp Samoa, a small Samoa Backpackers and voluntourism centre which was in transition to a cross-cultural intentional community, when the Palemia (PM) of Samoa ‘booted me out’ and banned me from Samoa. This event was triggered by the book Corruption in Samoa identifying moral failure of the Prime Minister Tuila’epa and caused me to lose all (wife, children & possessions). On my return to New Zealand I established Writing the Wrong, with the aim of giving a voice to the people. In October 2016 I suffered heart failure (Atrial Fibrillation) which caused a substantial reduction in my output, probably down to more common human productivity levels. 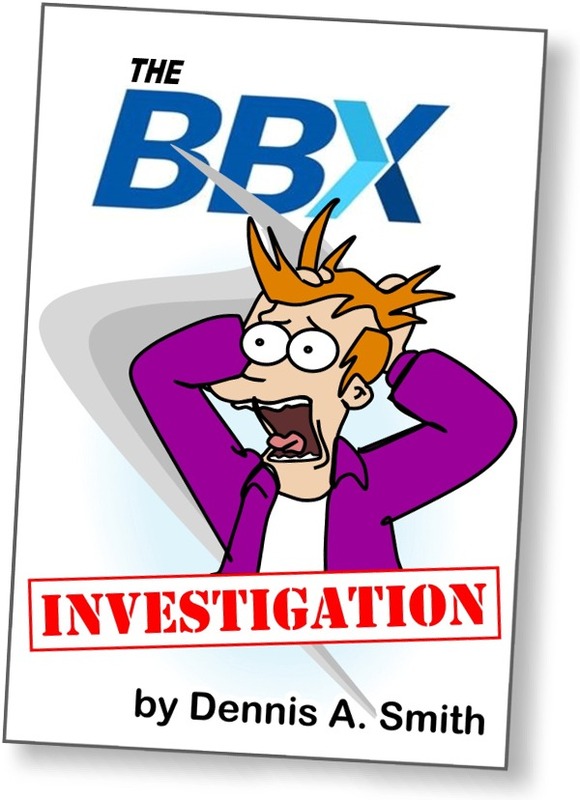 In Q1 2017 I commenced an investigation into BBX International, a failing Barter exchange, writing The BBX Investigation and commencing private prosecutions against the Australian and NZ principals. I published an exposure website www.palemia.com in May 2017, containing letters to the Samoan Prime Minister, Tuila’epa whom I called a coward, a crook and more with the intent of speaking the truth about a man they love to hate and a country billed ad nauseum as a Paradise “Founded Upon God” but actually rent asunder with all manner of violence, immorality, greed and ungodliness. 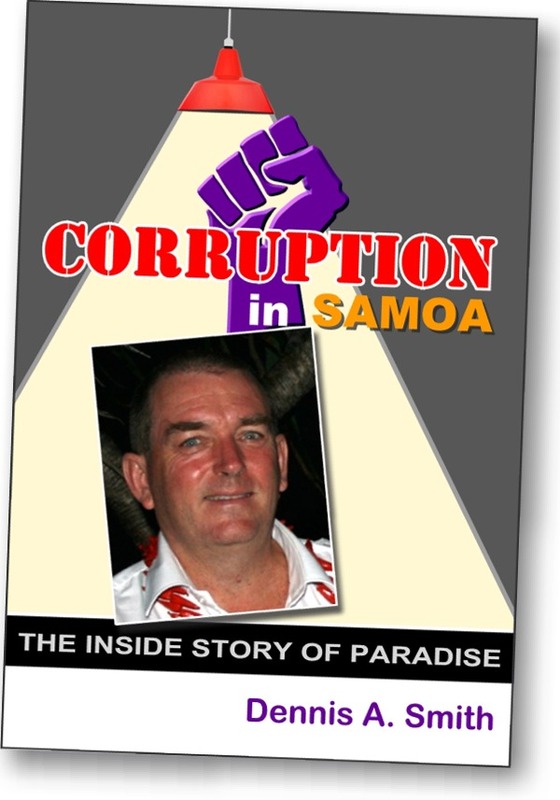 On 1st June 2017, nine months to the day from my expulsion from Samoa, I commenced publishing my book Corruption in Samoa in serial online format. 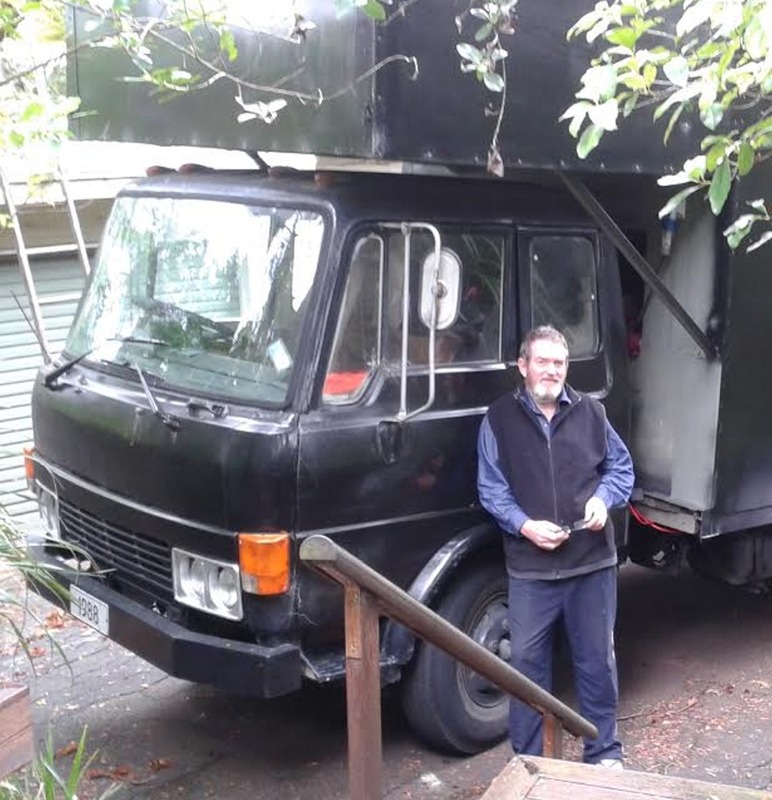 In mid 2018 I commenced the building of the Tiny House Workshop with the construction of the first container workshop in Kumeu. In December 2018, commenced an investigation into the Taumarunui Museum Trust and established KCET which was incorporated in January 2019. I wrote the book OFF THE RAILS, after coming to the conclusion that the TMT were a “cesspit of perpetual dysfunction and self-interest” as a result of my findings. I walk the fine line between genius and insanity, often going where no-one else does, and sometimes actually doing the impossible!
. . . the fine line between . . .